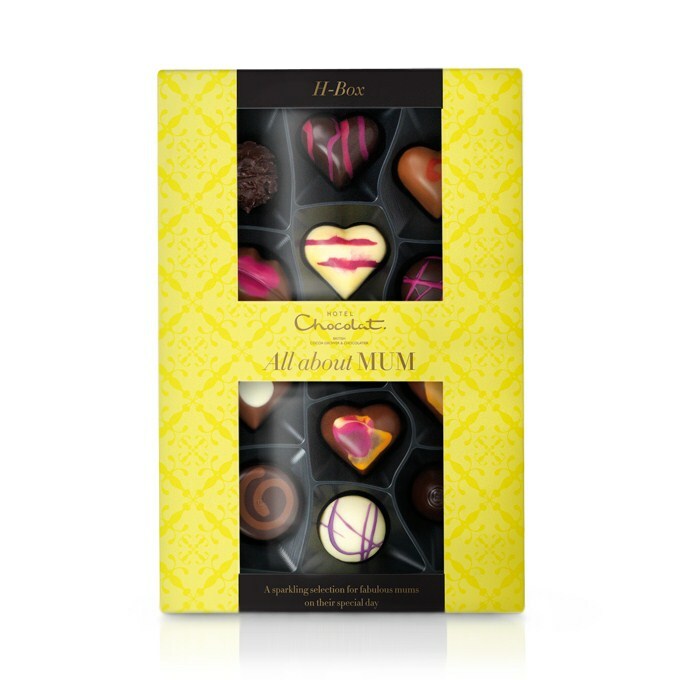 As foster mammy to Sandie the Wonder Dog, I think that Mother's Day should be all encompassing (hint hint...) so I took the liberty of trying out some beautiful chocolates sent to me by Hotel Chocolat called All About Mum. It's a collection of seasonal recipe fillings including champagne, blueberries and lemon, caramel, chocolate mousse and pralines wrapped in very pretty coloured chocolate shells. Yes, Mother's Day is this Sunday 10th March and you need to buy a card and a gift! There's 12 chocolates in the box so enough for her to share a few and keep the rest to herself to be consumed in peace and quiet. All in all, it's a really pretty gift to spoil your Mum with. Or yourself... you're worth it, you know.